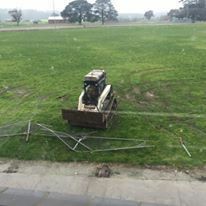 Works are now well underway on the re-development of Marty Busch Reserve, including a new surface, state of the art lighting, and coaching box facilities. This is an exciting project for the club community, which will be up and ready to go at the beginning of the 2017 football season. We will keep you updated on its progress during works. Go Burra!